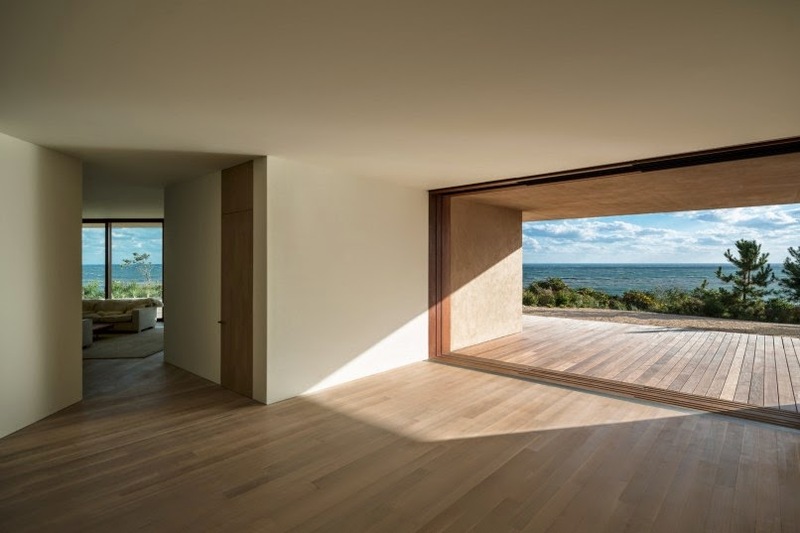 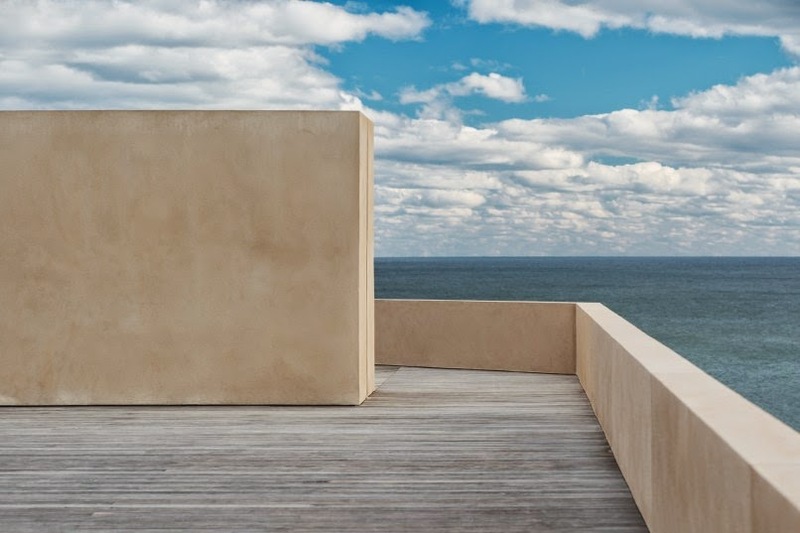 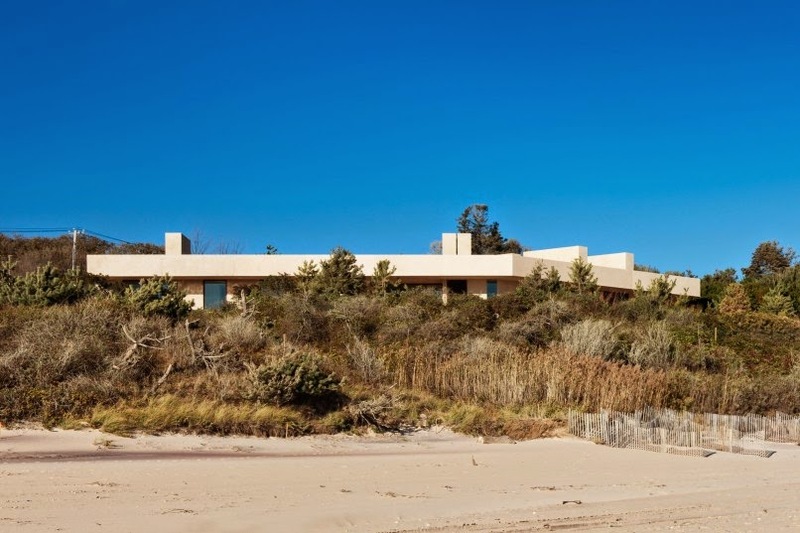 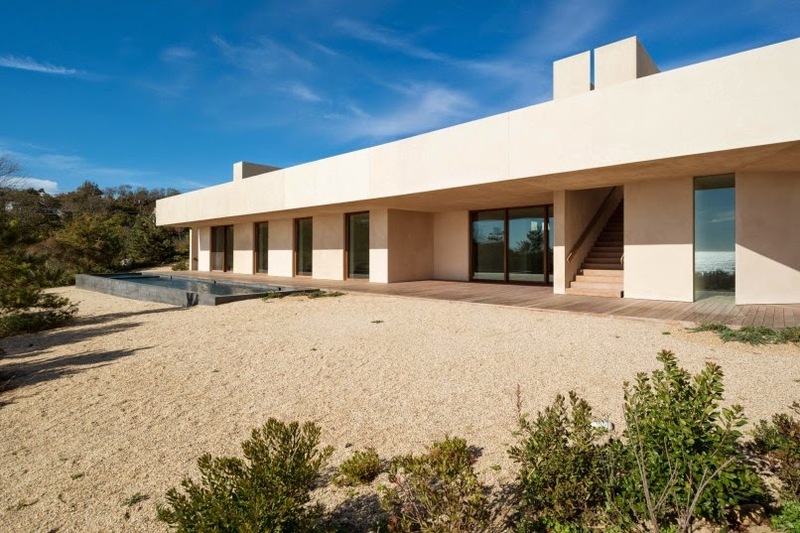 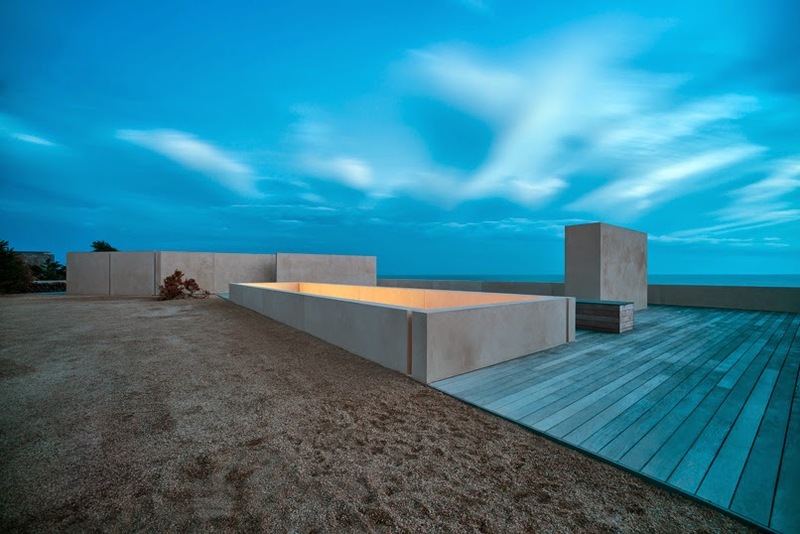 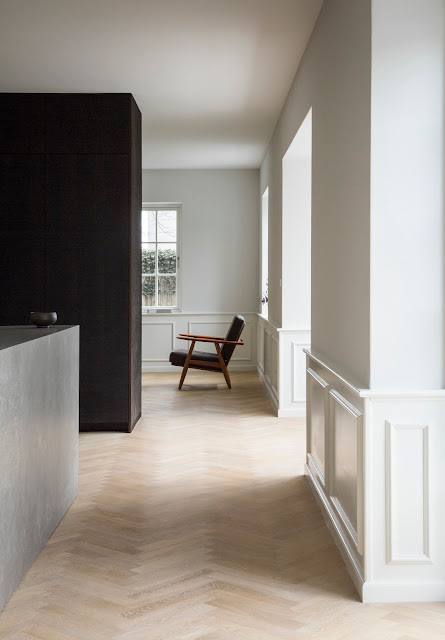 Montauk house in Long Island, USA, is the latest of the minimalist houses designed by John Pawson. 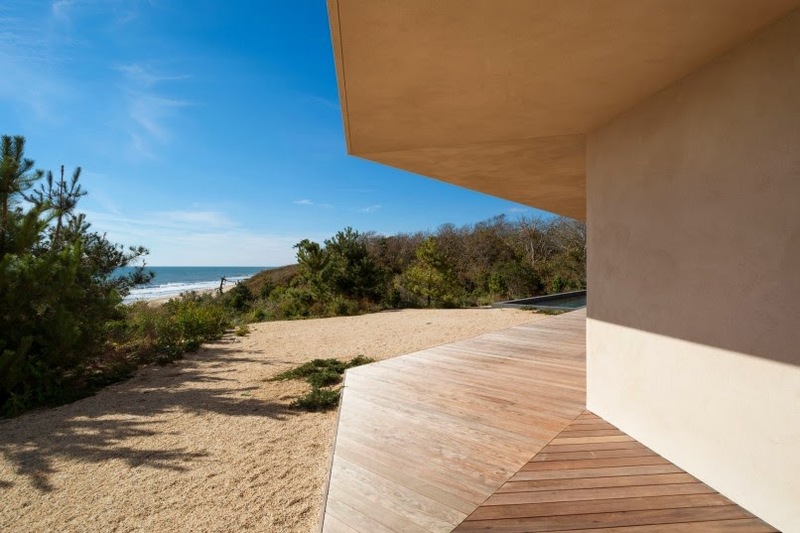 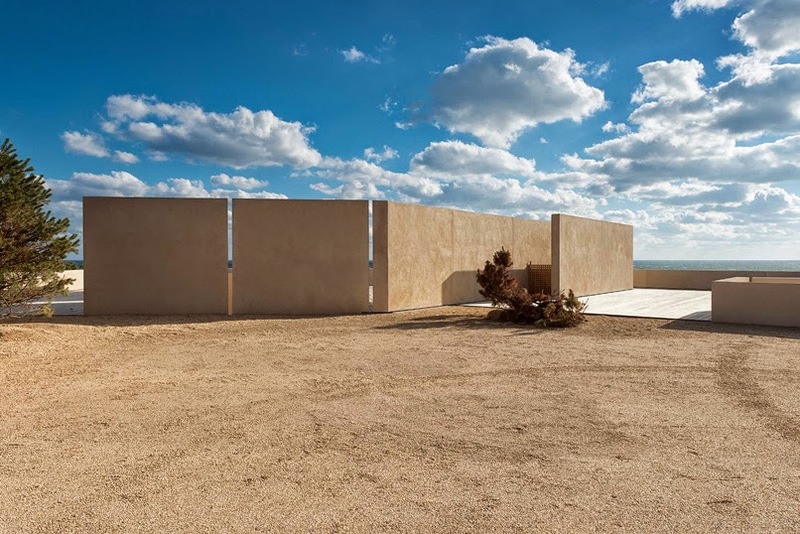 Facing the Atlantic shore, the horizontal building follows the topographical line of the site and adapts to its landscape with a natural material palette, with sandy rendered walls and timber decks. 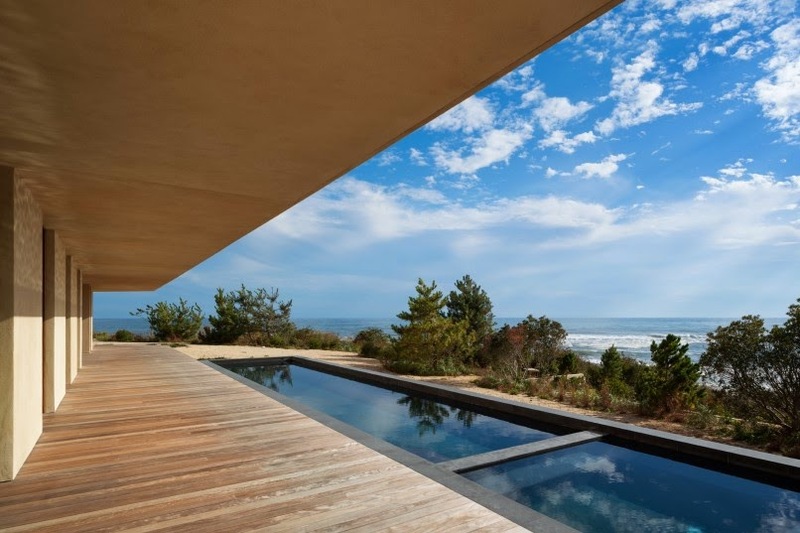 ocean and towards a small valley running along the west side of the plot. 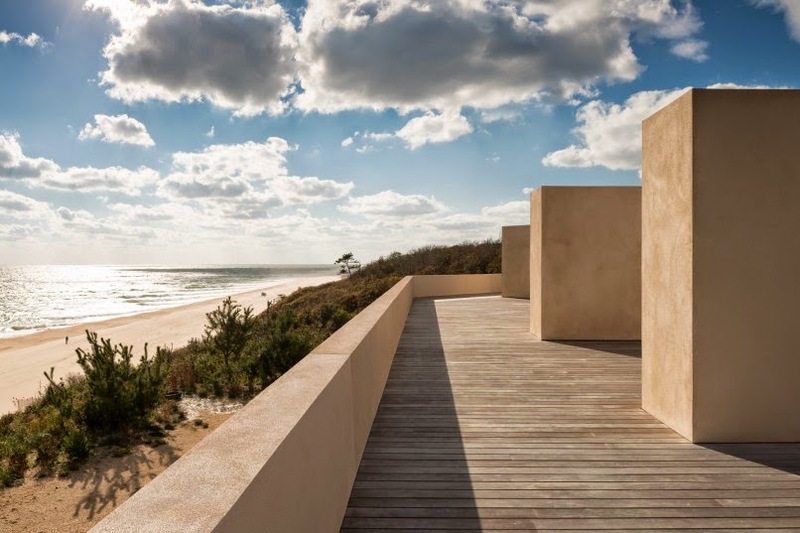 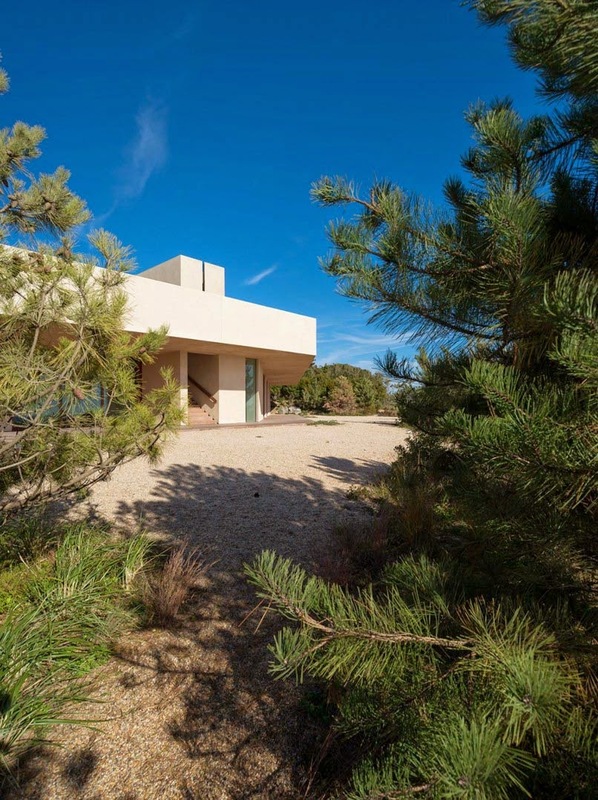 The building form flexes to follow this topographical line, allowing the lower deck to engage naturally with the flow of the dune. 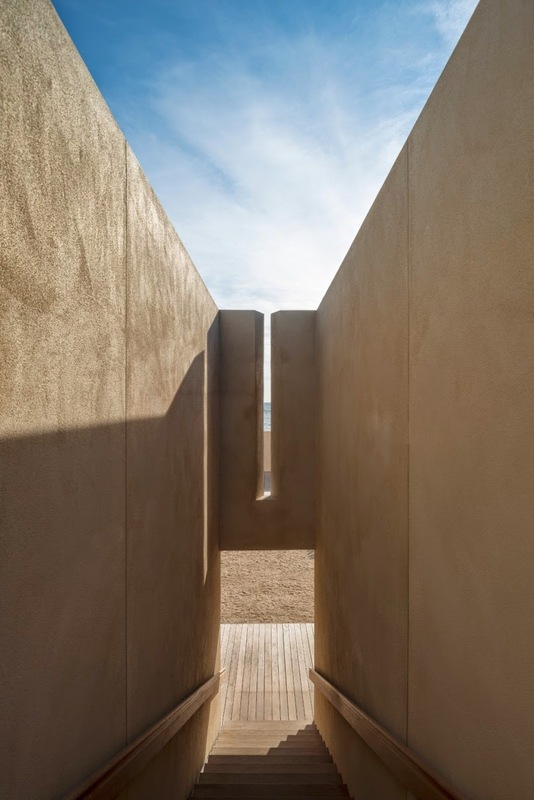 The material palette reinforces the intimacy of the relationship between architecture and context, with walls finished in sandy render and decks made from silvered ipe, resembling driftwood. 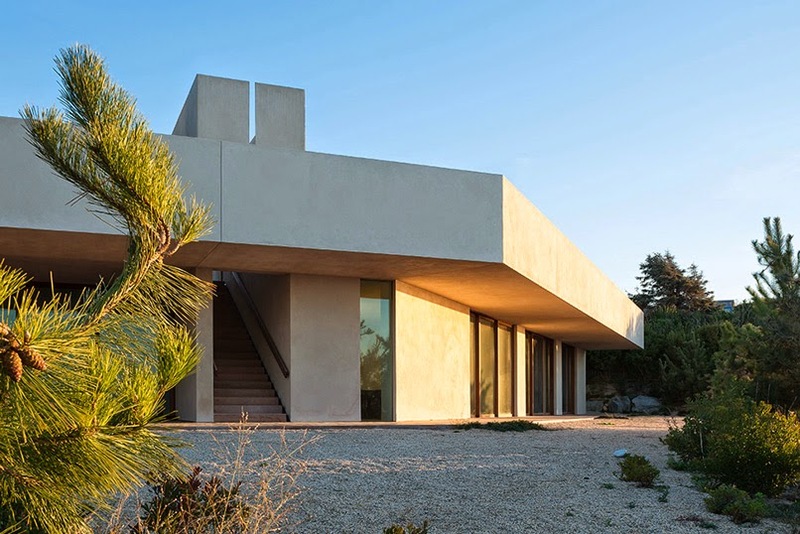 A series of pristine vertical planes rises from the upper deck, framing space and views and providing a powerful counterpoint to the structure’s low horizontal mass.